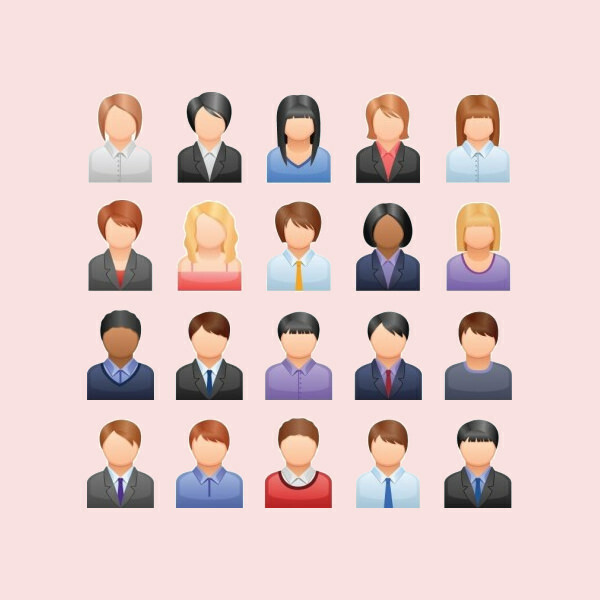 With the advent of online gaming, virtual dating and online chat groups the necessity of having personalized avatars has been increased like never before.These avatars not only cover all genders, age groups and ethnic groups,but also these can be personalized to sport your favorite color and kind of clothes and accessories. 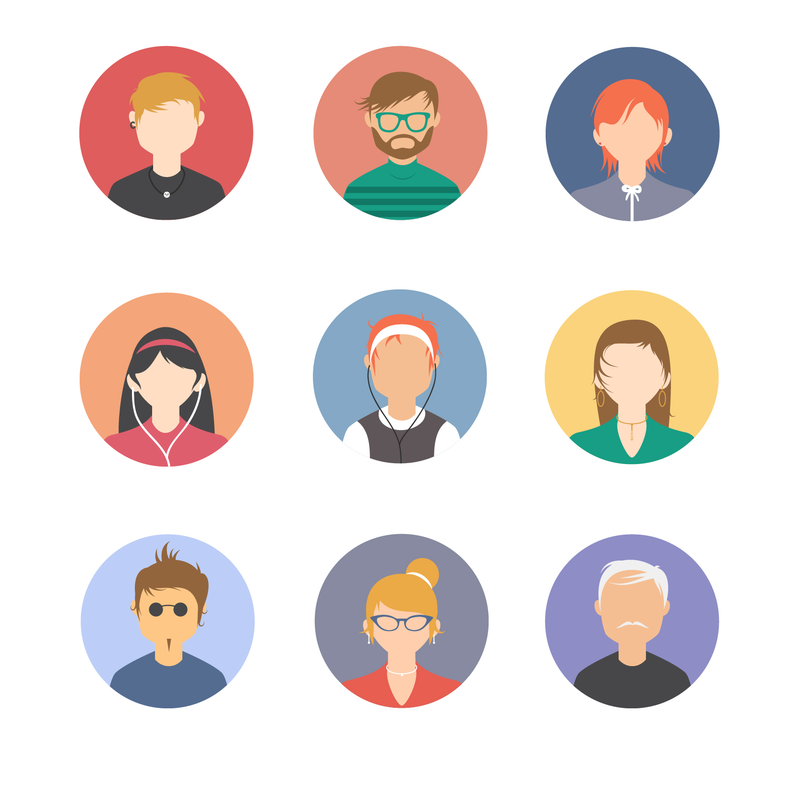 Most importantly, these people avatars come in PSD or Vector format which allows easy editing, you can put your name, personalized message or a logo across these avatars as you wish. 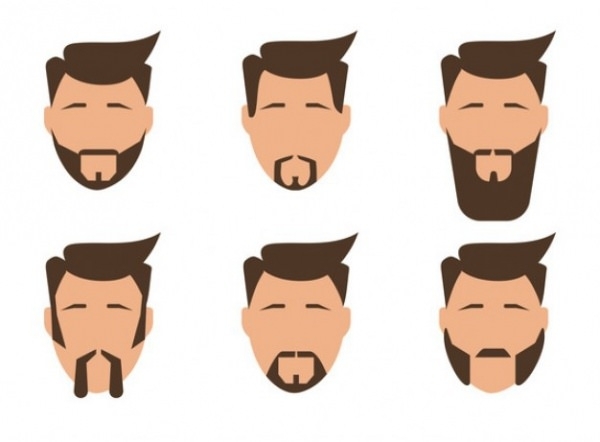 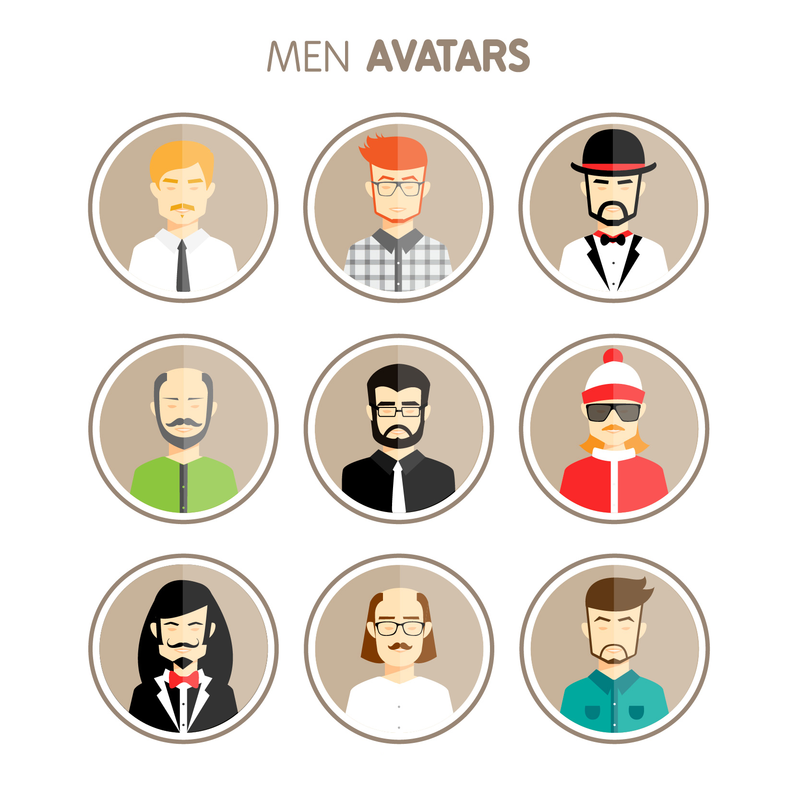 Male avatars can be easily distinguished from female avatars by virtue of distinct hair styles, facial structures and clothing. 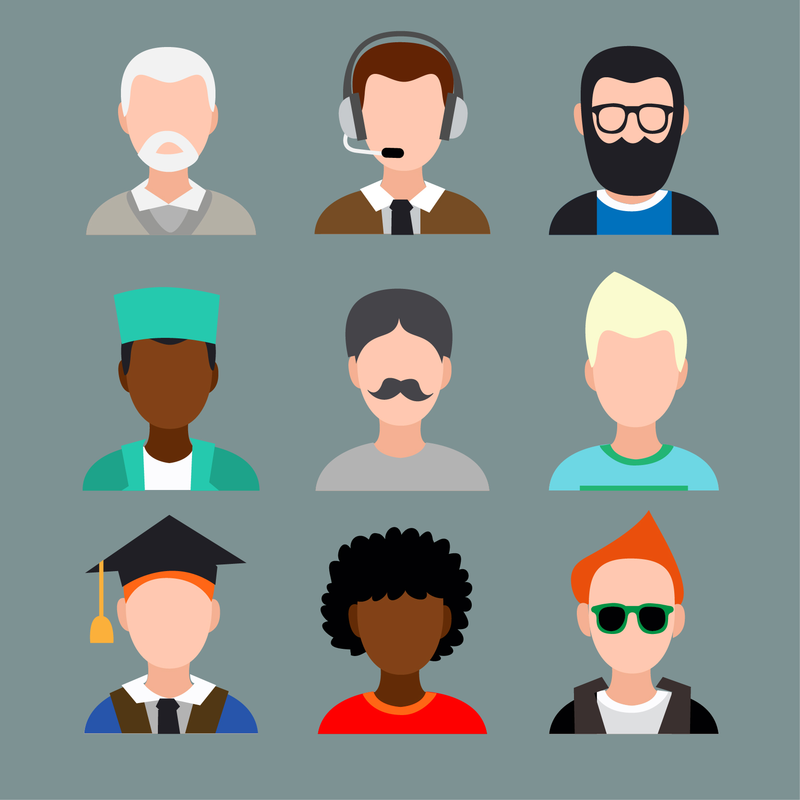 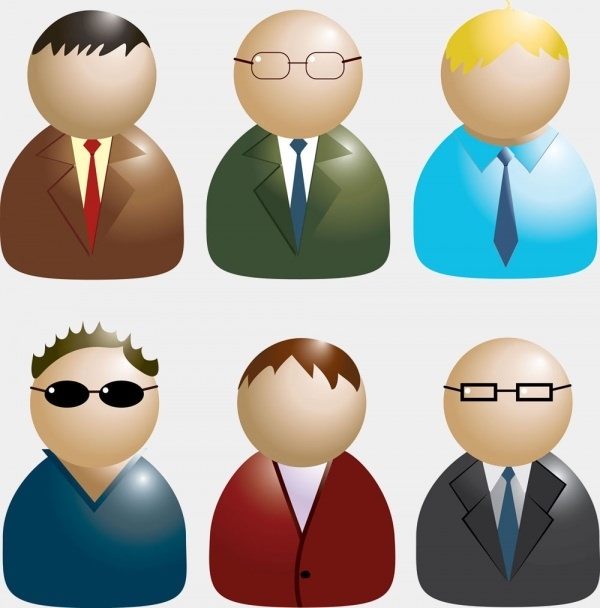 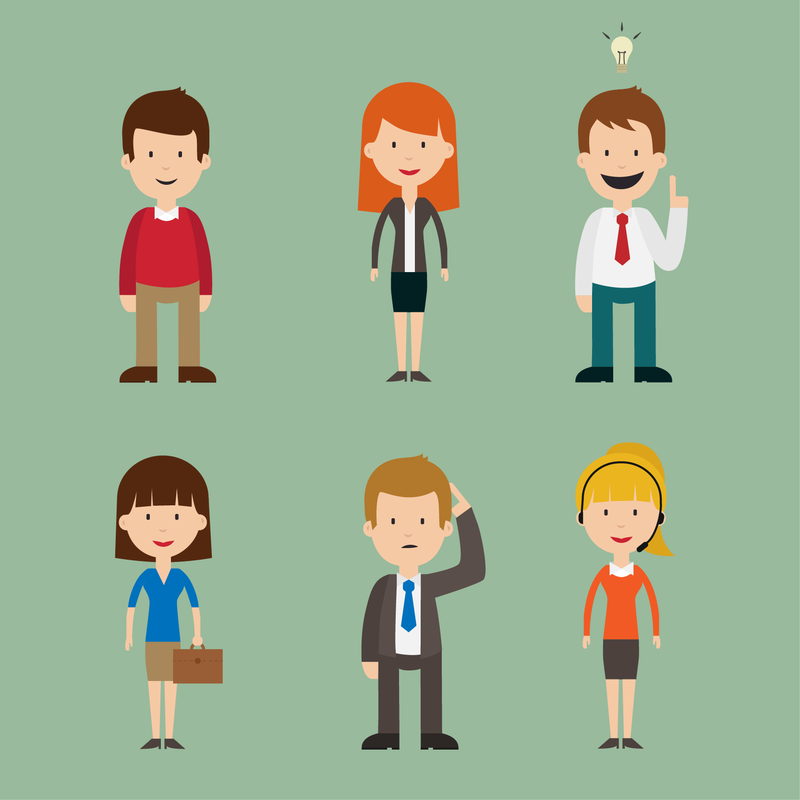 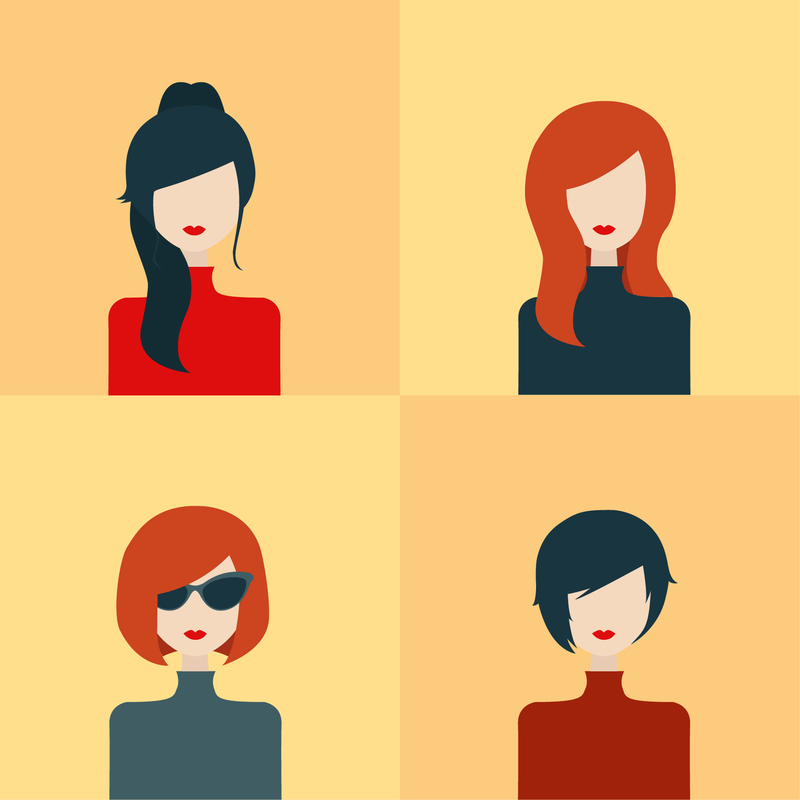 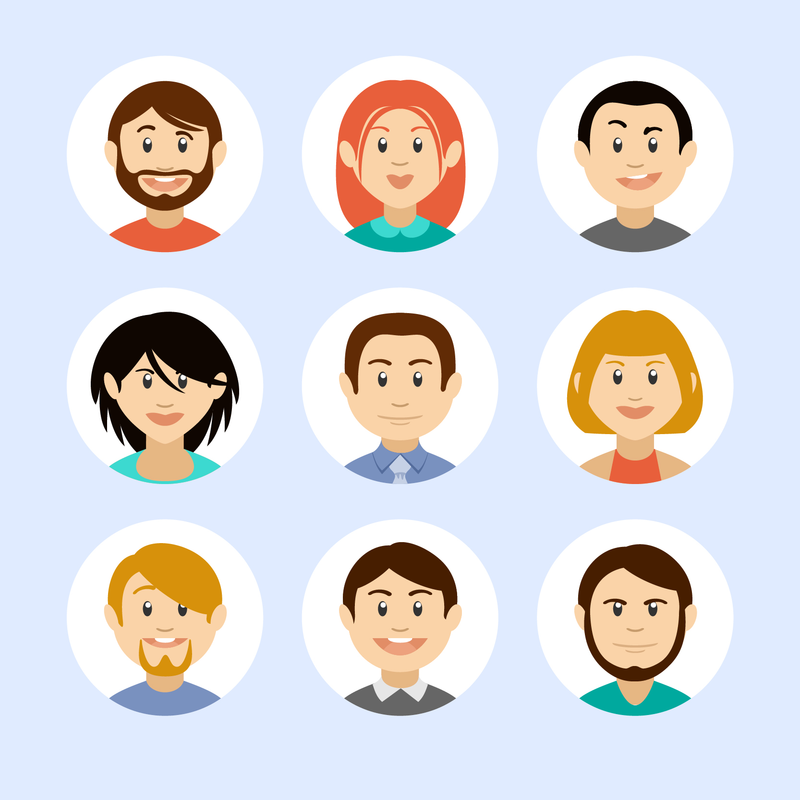 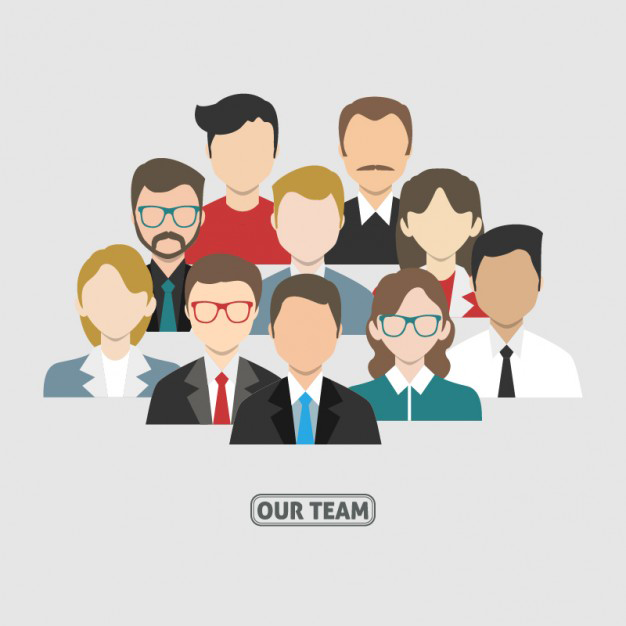 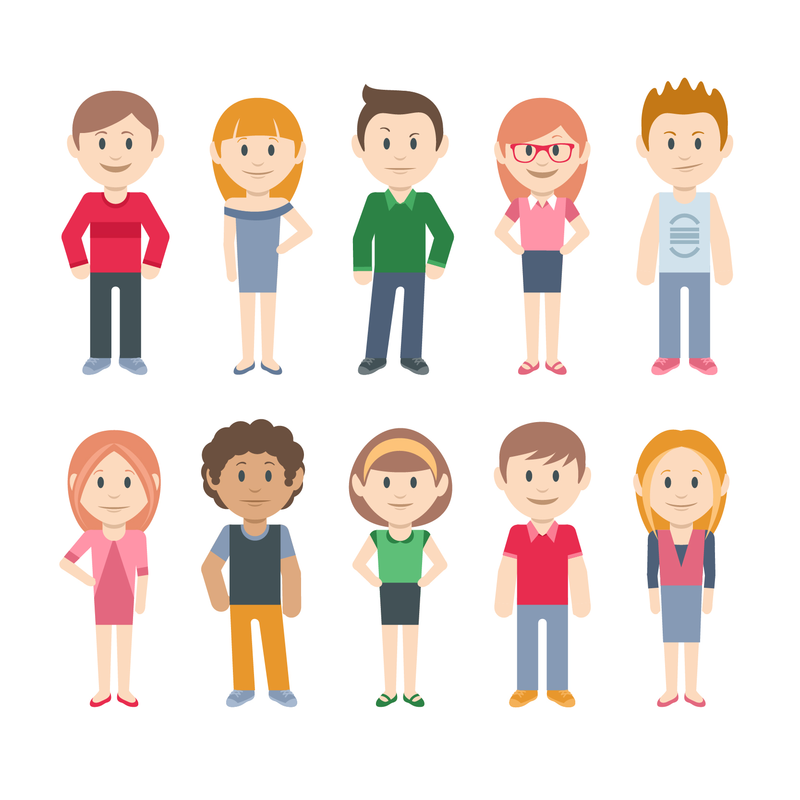 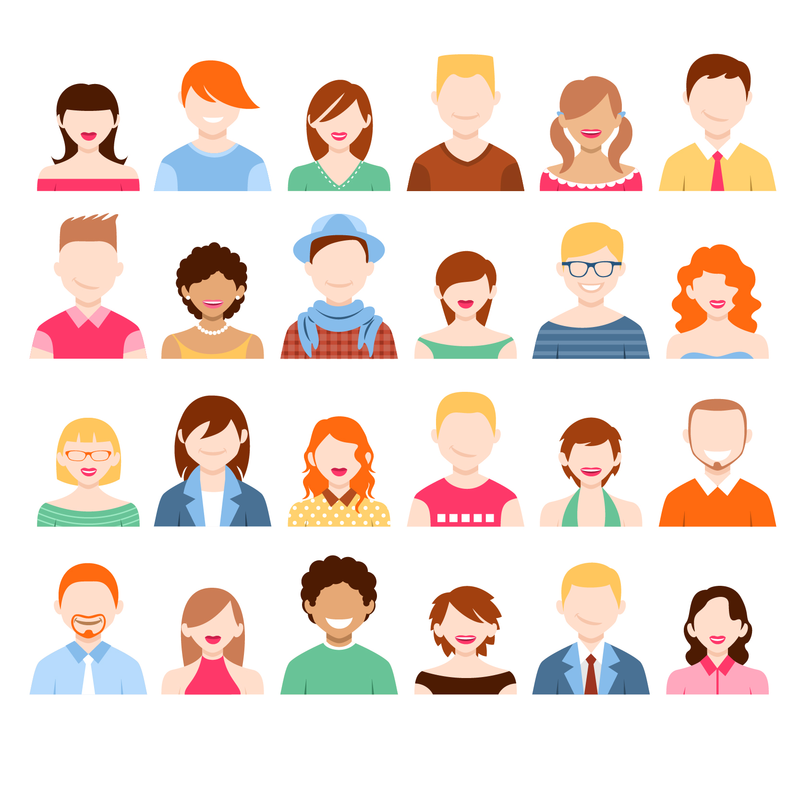 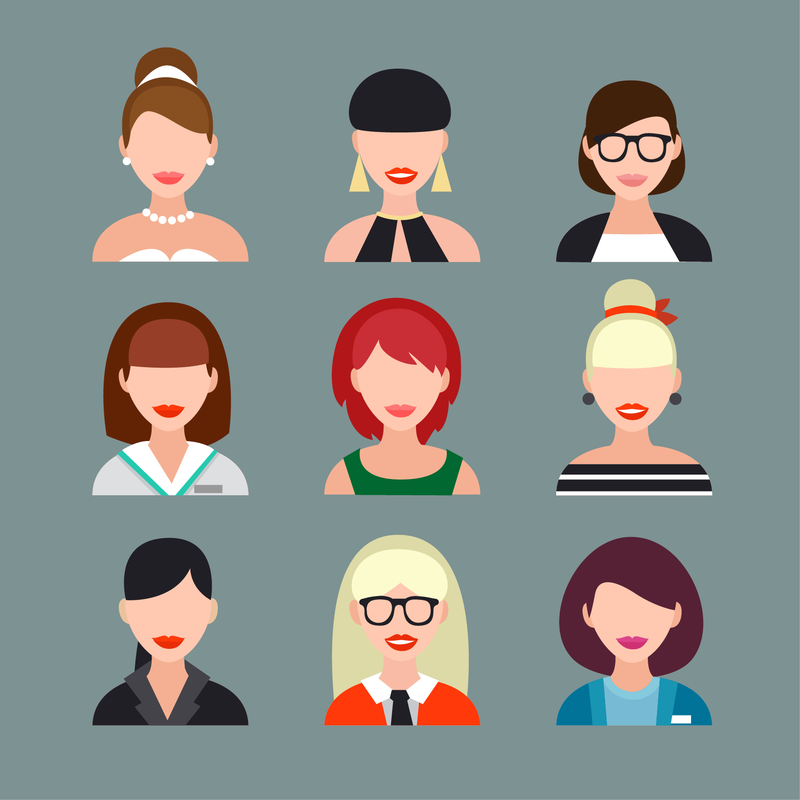 Many of these avatars can be given a formal twist; you can employ business team avatars for any conference or website discussion. 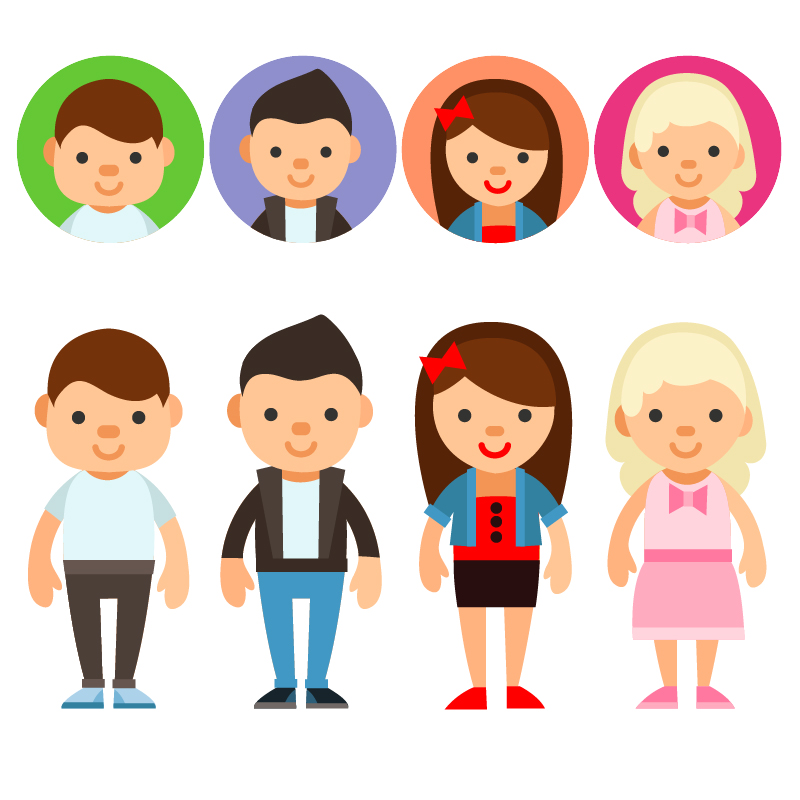 The flat avatars are more in demand by virtue of their easy placement; they are well suited with almost all kinds of pages and layouts. 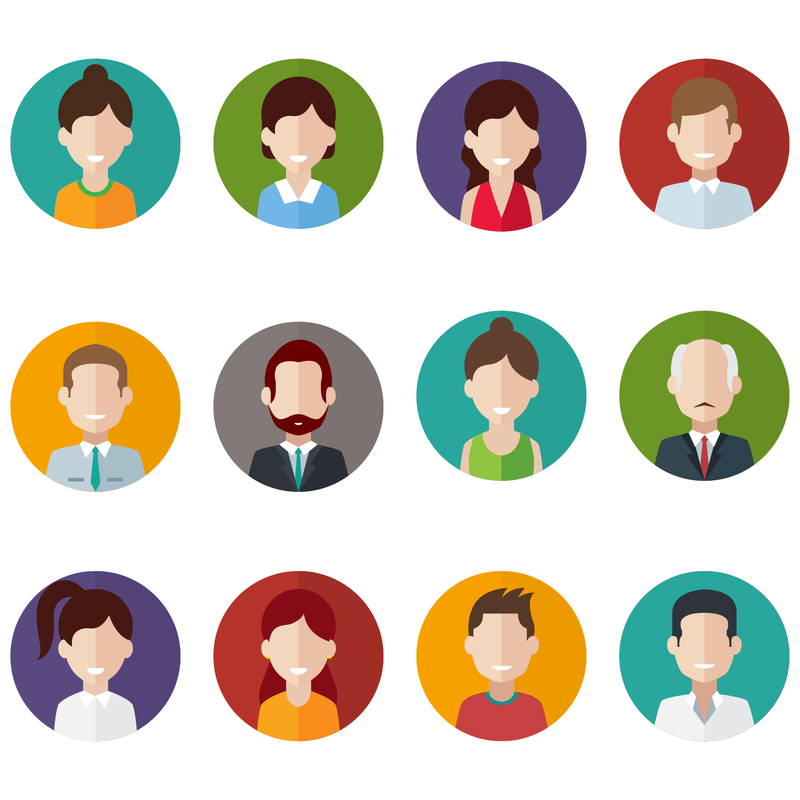 The flexible background options allow you to maintain harmony between your avatars and the layouts. 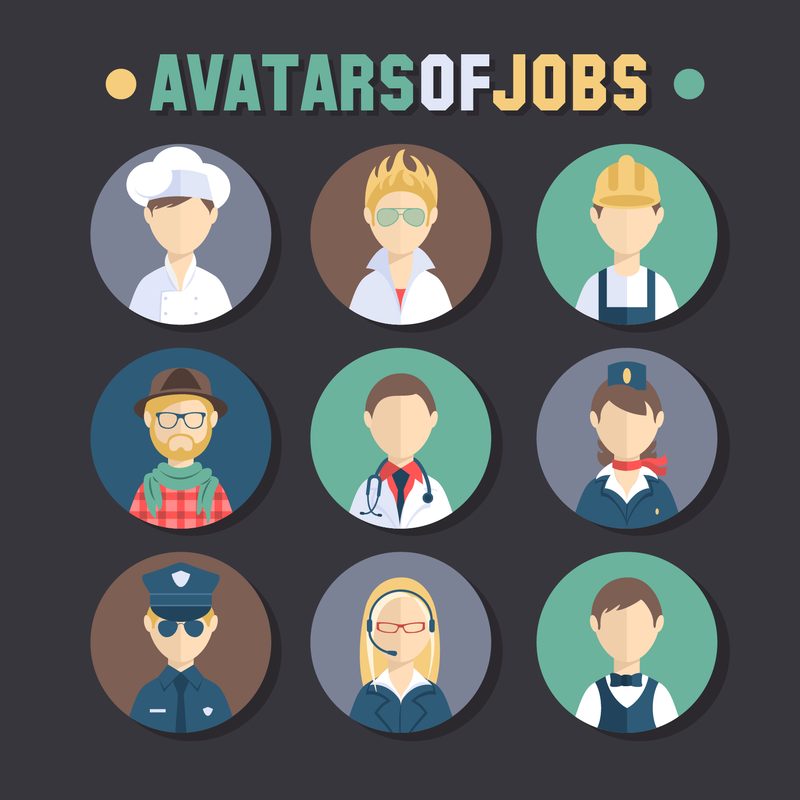 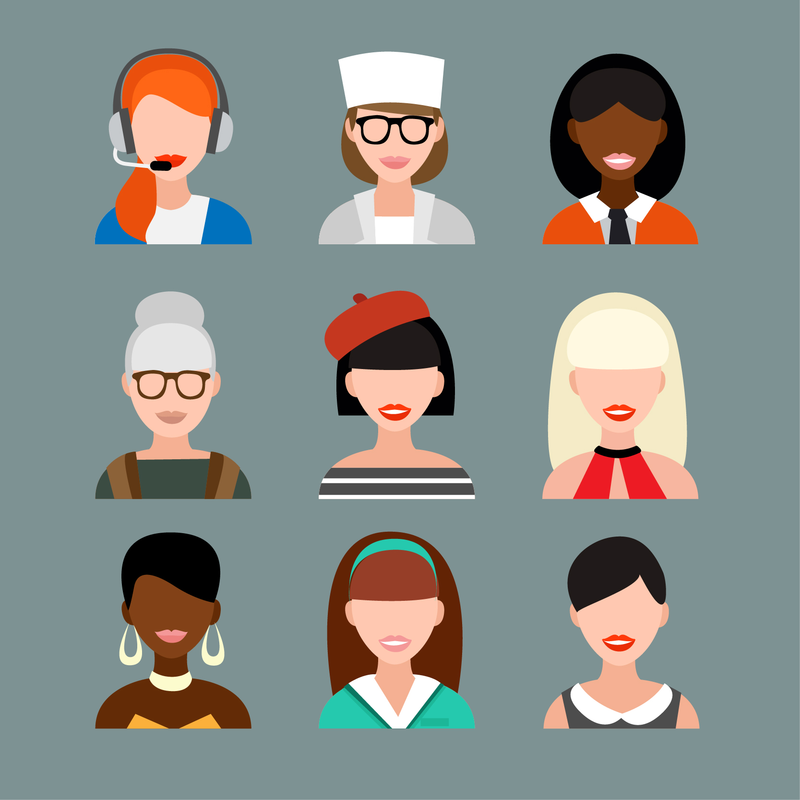 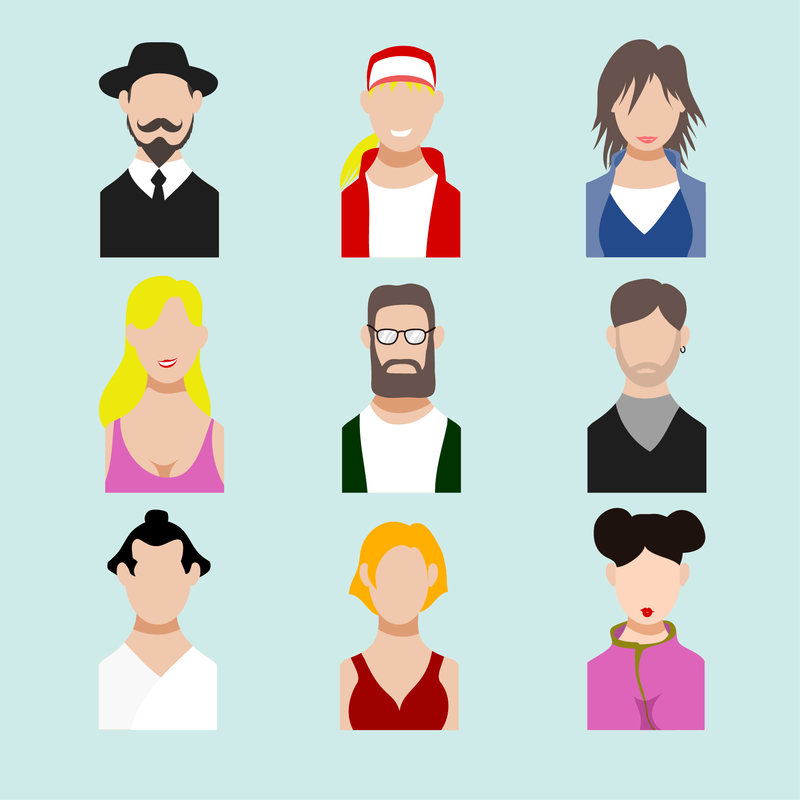 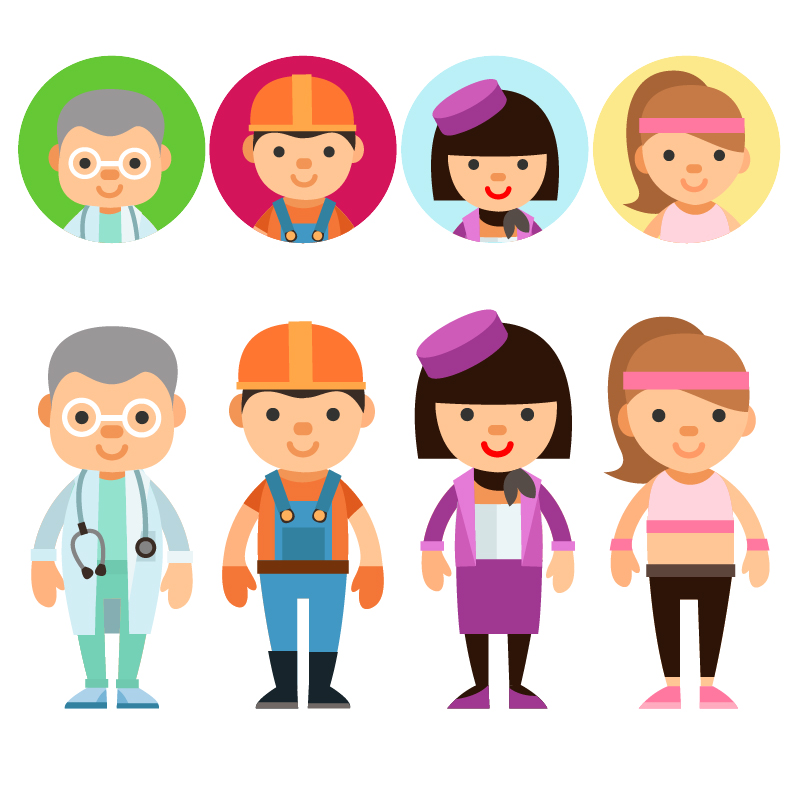 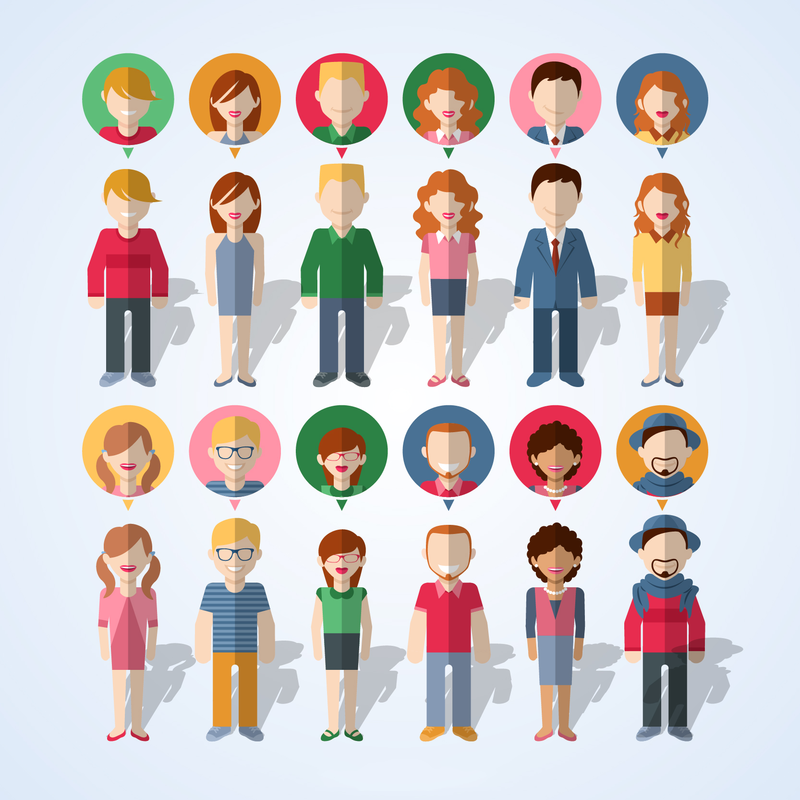 Starting from cartoon avatars and social avatars to job avatars, you can find them all in this collection. 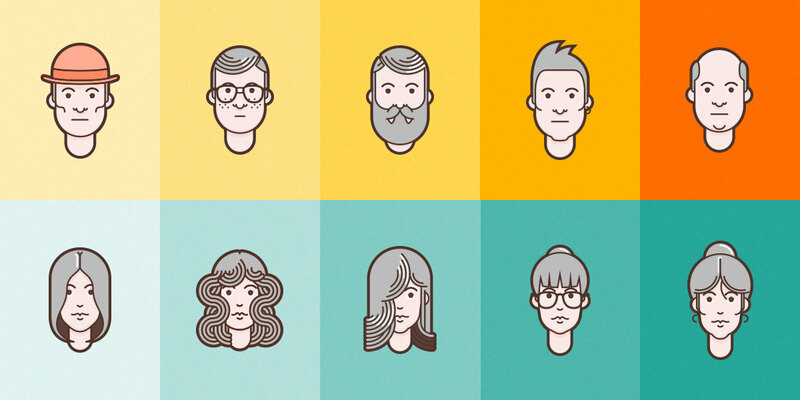 Download as many as you want, and edit as much as you want without having to pay a dime. 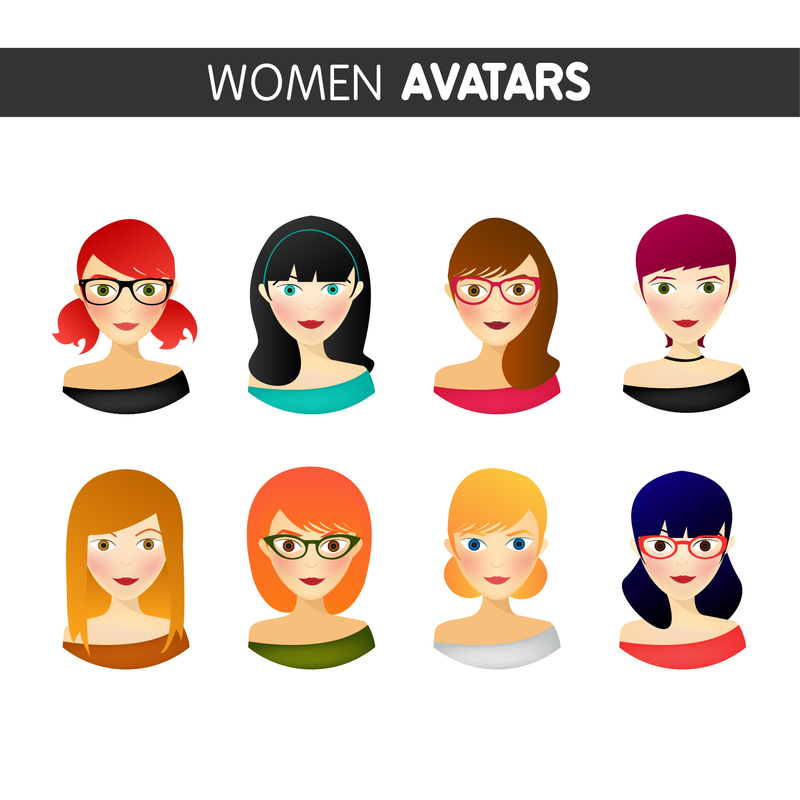 Most of these avatars are free with premium features. 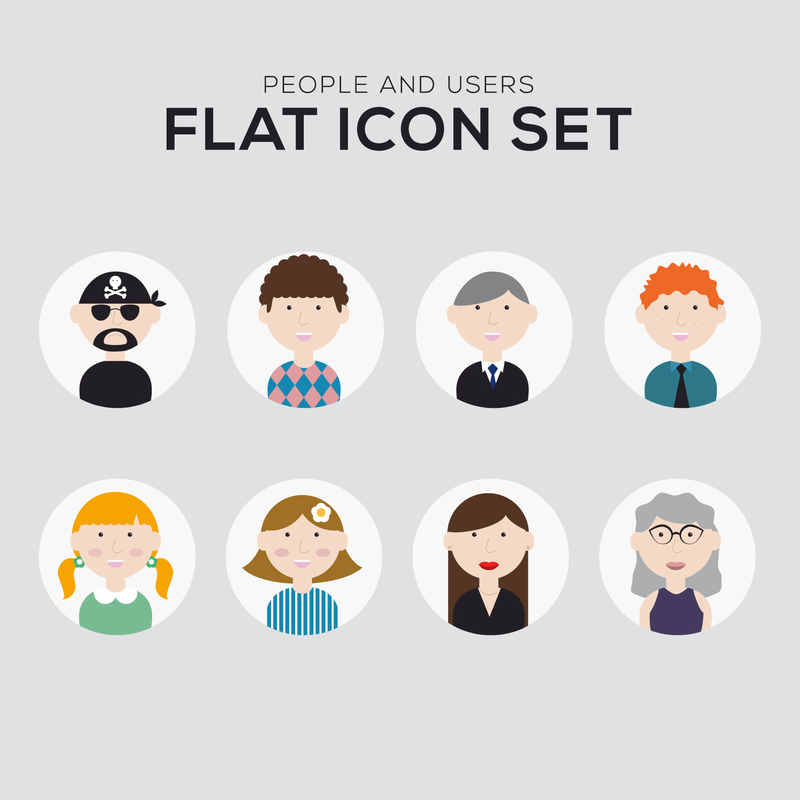 The editable PSD formats and freedom of usage make these avatars the best for all necessities possible. 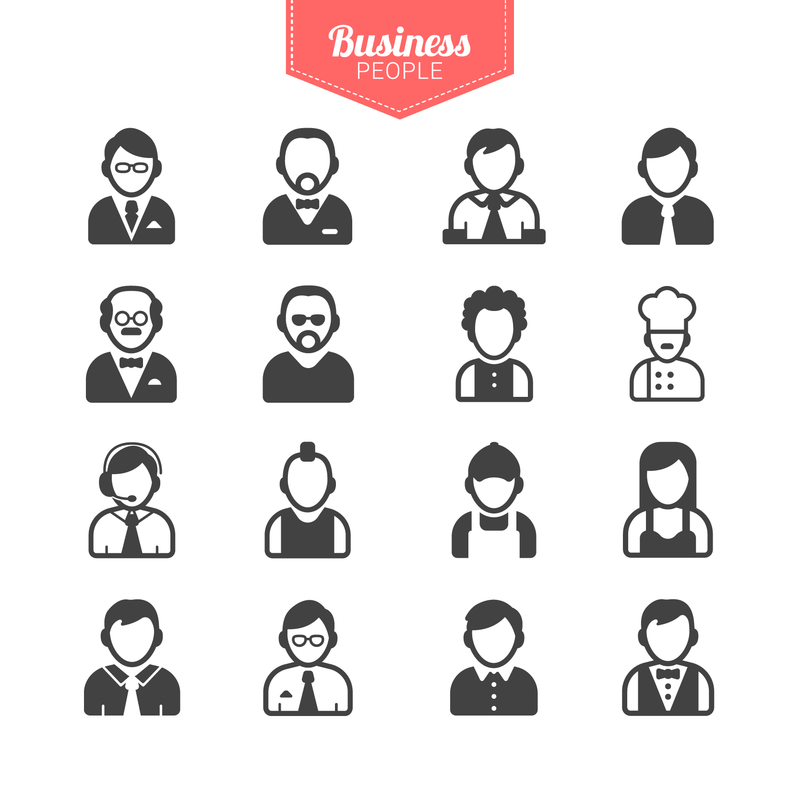 In fact there are thousands of designs to choose from and edit to preserve your uniqueness and originality.